local brewers, and local musicians. Farm Funk was created in 2015 out of a desire to promote sustainability through awareness of local producers of foods, beverages, art, and other products. The primary focus of the festival is to introduce community members to local producers in an attempt to bolster the local economy and support local farmers, brewers, and musicians by bringing these communities together with the consumers who buy their products. Farm Funk was created when local music, farming and brewing advocates, Matt and Amy Musselwhite, teamed with Jess Sappington, a tireless champion for farmers, producers, and artists in and around Northwest Washington. Together, their passion for local farming, local brewing, and local music led to the creation of Farm Funk and two scholarship funds. The Emerald Installation, Inc. Young Musician Scholarship and the Kitsap Community & Agricultural Alliance Young Farmer Scholarship are the primary beneficiaries of all of the festival's profits and donations. 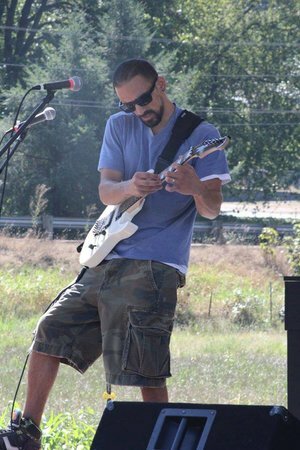 Farm Funk's stage features local, original music by singers, songwriters, and musicians from the Kitsap County area. NW Washington is not only a great area for farming, but also for music. The talent and creativity in this area is second to none. This is on full display at Farm Funk as the main stage rocks for more than 8 hours, featuring performances by local youth musicians and four headlining acts. We believe the music is what brings us together. Farmers, brewers, producers and all their potential customers together, at the same time, listening to great, local music.